Getting a lead is easy, keeping one is tough. One moment you're stomping the enemy team and up by twenty kills, the next moment Kayle's level sixteen and smacking your nexus 1v9. Understanding the common ways to throw games is crucial in identifying when you're in a potential throw situation. Check out the top 10 ways to throw a game below! Or really fighting any disadvantageous team fight. It's different if you have someone fed and a clear path to engage, but if the game is even or just a little ahead, fighting a teamfight down a member is a recipe for disaster. In a gank heavy meta, junglers that farm camps while their nearby lanes are getting ganked are just asking for a free loss. Besides the inevitable rage from your teammates, their death will certainly be a bigger disadvantage for your team than the two mini-golems you're not finishing off. Later on, players that farm lanes over grouping for objectives will also certainly lead to defeat. In most games, this ends up being one of the main contributing factors to team morale breakdown and ultimately losing through poor strategic decision-making. Giving constructive feedback is helpful sometimes, but if you see the conversation start to break down end it before someone starts raging, especially if it's you. Sometimes it can be alluring to gank other lanes and continuously apply map pressure. On the other hand, if you're roaming and not accomplishing anything while your enemy laner is pushing and applying map pressure back in your default lane, this can quickly snowball a winning lane into a losing lane. 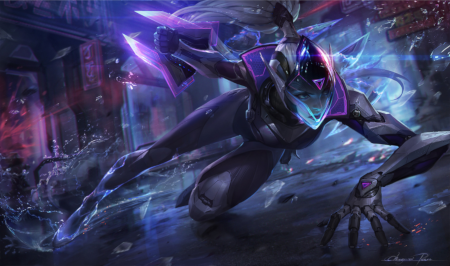 It can be tempting to perma-freeze a lane if you're winning and have good wave management. However, this often leads to your lane roaming and shoving in other lanes/objectives. If your enemy laners are roaming, it's best to break the freeze and re-apply map pressure. Tower diving isn't a certain evil. Sometimes it obviously works and you can pick up free kills. However, make sure you understand the enemy cooldowns and the location of the enemy champions. If not, an early to mid-game tower dive can absolutely turn the flow of a game around if it goes poorly. When pushing a lane, many players end up taking an inhibitor then trying to force themselves onto the nexus. If teamfights are close and the enemy team is about to respawn, it's better to back off or do another objective. Make sure you're not wasting time and putting yourself in danger for free. Even the most fed champions can quickly melt 1v5 if their team is too far to follow-up on an engagement. Not only is this devastating for team morale, but can also give killing spree gold to the enemy team. If you're the most fed person on the team, this leads to a massive drop in combat power as well. This one's somewhat rampant in mid-Elo. Players are strategic enough to camp a bush near Baron, but don't bring a control ward or Sweeping Lens before all stacking in a bush. This can end with massive AOEs rained down with synergy, devastating teams and giving a free objective. Sometimes it's tough to say if a baron call is going to end in tragedy, and sometimes it truly does. A bad Baron fight is often enough on its own to decide the course of a game. If you're not sure if you can secure Baron and don't need it to win the game, it might be better to avoid it or wait for a more advantageous team fight. Which way of throwing a game triggers you the most? Got one that tops these? Comment below!